Being an indie author is weird, sometimes. I just had a super productive weekend from a creative standpoint. In the span of three days, I cranked out two short stories and continued hammering away at the first draft of our Orchard Pointe project (which is around 91K as of today). All told, I ended up writing over 6,000 words, which is NaNoWriMo levels of productivity for me. And it was good stuff, too. I'm really happy with how both of the short stories turned out, and they were very different from one another, so I felt like I worked different muscles between the two of them. And yet, as I ordered some print copies of my current books this morning for an upcoming author fair, I watched my savings account dip down to pretty much nothing. Which reminded me that after a little more than three years of being an indie author, I really haven't made a penny off of my writing. When you factor in cover designs, print book costs, tables at cons and marketing, I'm at least a couple grand in the hole right now, probably more. 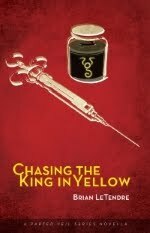 When I self-published Courting the King in Yellow back in October 2012, I told myself that for the next five years, my focus would be solely on writing as much as possible, getting my stories out there, and improving my skills. And when I look at those three goals, I feel like I've made great progress. 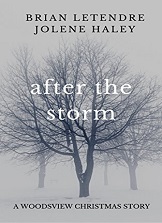 I have five books out there--three in the Parted Veil series, my podcasting book, and HARROWED, which I co-wrote with the amazing Jolene Haley. I've been a part of short story collections and will have two new stories out in the coming months. I have made time in my life for writing in a way that causes minimal negative impact on the rest of my family (I write early in the morning while the rest of the house is asleep). And my writing skills have improved, both through practice and through working with Jolene, who I have learned so much from in the span of the last year. So much. But some days, man. Some days, it's tough not to get a little discouraged. And it's on those days that I'm glad to have a support system of other writers. Jolene is a rock of encouragement and positivity and she's a blast to write with. And the crew over the the Midnight Society is a wonderful group of people who are constantly rooting for one another. I'm so glad to know them. We had our first Google Hangout over the weekend with the whole group, and it was a ton of fun. So, creatively--progress. I'm working hard, and I've got some great people around me who are cheering me on and making me better. Financially--I can't worry about that right now. Because if I start to, I stop writing. And I love writing. Besides, I've still got two years to go. So, my amazing writing partner Jolene Haley had a great idea this week--to use a couple of our Amazon free promotional days to make HARROWED free for Valentine's Day. HARROWED is not only our love letter to slasher films of the '80s, but it also features a love story that Jolene and I are really proud of. Which kind of makes it the perfect Valentine's Day read. If you hate Valentine's Day, you read it for the killing, but if you love Valentine's Day, you read it for the kissing. See? Perfect. 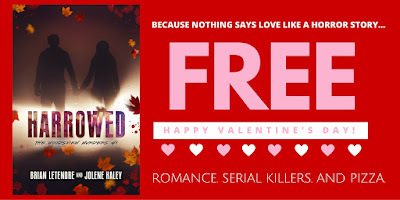 And it turns out that it was a really good for for Valentine's day, as HARROWED hit #1 on both the Horror and Romance YA lists for free books. Which has made Jolene and I "best-giving" authors, something I'll be putting on my business cards from here on out. Thanks to everyone that helped spread the word about HARROWED this weekend. We are so grateful to have so many cool people pulling for us. Hopefully the great response we got during our promotional days will translate into increased sales for the book. Either way, a whole bunch of new people picked up our story this weekend, and that's pretty awesome. Have a Free Bloody Valentine on Us! HARROWED is Free 2/14-15! Boy have we got a Valentine's Day treat for you! 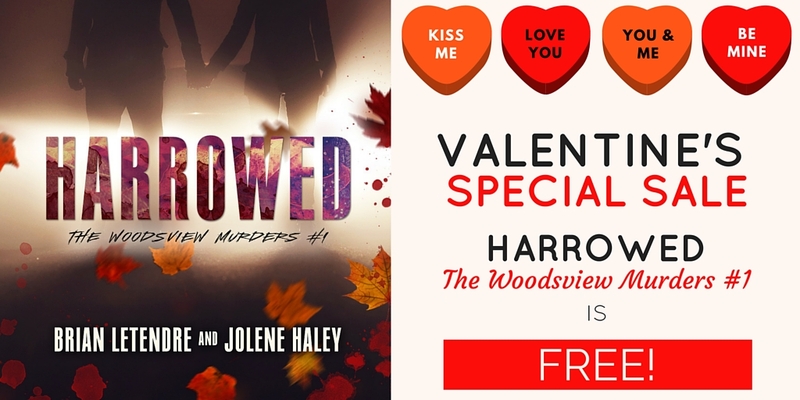 HARROWED, the first novel in the Woodsview Murders series, will be Free on Amazon Sunday and Monday 2/14-15! Our ode to the slasher movie features a strong love story as well, and we're happy to spread the love (and the blood) on this most romantic of holidays. So go grab your copy, and help spread the word! Click here to get HARROWED for free on 2/14 and 2/15! I promised that Jolene and I would start revealing more details about our new Orchard Pointe series in early 2016, so I've been trying to figure out how to do that without spoiling anything. And then Jolene and I had a conversation this week about Orchard Pointe that I thought would give people a good idea of how it differs from our Woodsview Murders series. The gist of our conversation was this: The setting of Orchard Pointe is as much of a main character in our series as anyone else. Don't get me wrong--Woodsview, Massachusetts absolutely a character, and I love that place with all my heart. 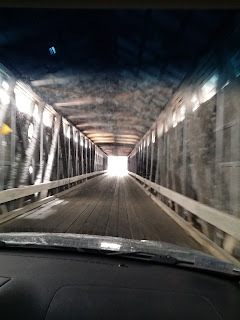 As I wrote in my last post, there are real people and places that inspire much of Woodsview, and it's also a love letter to all the slasher movies that we grew up watching (seriously, there are dozens and dozens of Easter eggs for 80s horror fans in HARROWED) . You'll see even more of Woodsview and the surrounding areas in book two. 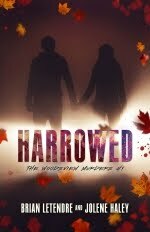 But at its core, HARROWED and the Woodsview series is about the Woodsview Harvester and Avery Blair. The slasher and the final girl. The Orchard Pointe series is about this wonderful, weird little place and the things that happen there. There are characters you will explore Orchard Pointe with (and one in particular moving forward), and you will love them like we do (trust me--they're awesome). The first book will introduce you to Orchard Pointe and some of the people that both live and visit there. 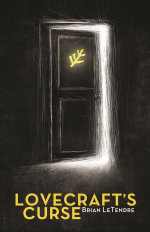 But it also features a big mystery, one that will be told in its entirety in this first book. From there, each book will show you more and more of Orchard Pointe, and it's going to get weirder and weirder. When people ask me what types of movies or stories inspire Woodsview, I tell them things like Friday the 13th, Scream, My Bloody Valentine and Night of the Creeps. But if you want to get an idea of what to expect from Orchard Pointe, I would tell you to watch all of Twin Peaks, the first five seasons of The X-Files and the entirety of The Twilight Zone. There are a couple of more direct influences for the first book, but I will save those for later. So, that's a glimpse into what you can expect from Orchard Pointe. 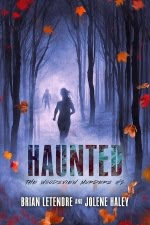 It's still very much a YA horror series, but with a little more mystery and a little less stabbing than Woodsview. When people die in Orchard Pointe, they die a little more...oddly. I was reading recently that J.J. Abrams designed Captain Phasma in the new Star Wars movie in tribute to Phantasm, one of his favorite horror films. It got me thinking about the many references I've made to movies, music, people and places in my own work. For me, one of the most satisfying aspects of being an author is the ability to pay homage to the things that inspire me in my stories. The horror movies and metal music I grew up with. Writers like Poe, Chambers, Shelley, Smith and Lovecraft who laid the foundation of horror. The places I've lived, worked, vacationed. People that have come into and out of my life. All of these things inspire every story I write, and I love finding ways to immortalize them in my own work. Take for instance the apartment I lived in after I graduated from college. It consisted of the second and third floor of a beautiful colonial in Springfield, Massachusetts. I loved that apartment--LOVED. And even after I moved out of it to move in with my wife-to-be, I never forgot that apartment. 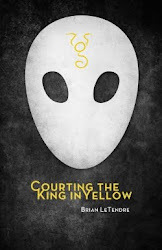 So, when I was writing the first draft of Courting the King in Yellow back in 2008 or so, I gave that apartment to my main character. And as the Parted Veil series head toward its fourth installment, that apartment is just as much as character in that series as anyone else now. It will live forever, and I get to keep spending time in it, which brings me great joy. An apartment my wife and I lived in for a while also makes a short appearance in Courting the King in Yellow. 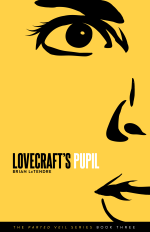 The school that Fela Barton attends in Lovecraft's Curse and Lovecraft's Pupil is loosely based on my alma mater. Fela's best friend Connie works in the library, just like I did when I went to school there. 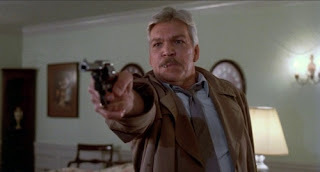 In the recent novel Harrowed that I wrote with Jolene Haley, we paid tribute to one of my favorite actors of all time, Tom Atkins. He was a staple of horror films in the '80s (The Fog, Halloween III, Maniac Cop, Creepshow), but my favorite movie of his will always be Night of the Creeps. Our character Detective Ray Atkins is a big nod to Ray Cameron, the character Atkins played in Night of the Creeps. The diner and the record store in Harrowed are both places that Jolene and I frequented in real life. Not to mention, there are tons of '80s movie and music references in that book. Tons. And then there's Orchard Pointe, the new series Jolene and I have been working on. 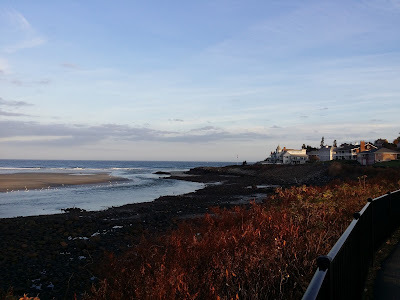 We'll be talking much more about the setting and characters soon, but I will say the setting is partially inspired by places I have vacationed since I was a small child. 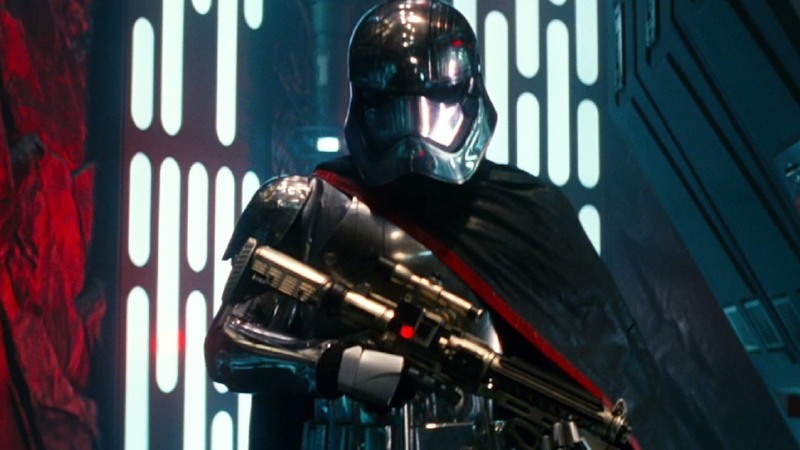 It's also inspired by a great deal of other things, but we'll be talking more about that soon enough. Anyway, I think it's pretty cool to include nods to the things that inspire you in your stories. I'd love to hear what sort of people, places and things that some of my fellow writers have immortalized in their work.